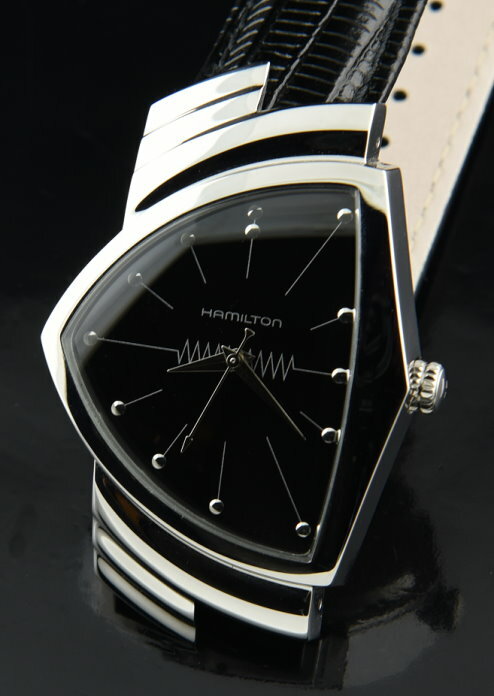 This Hamilton battery operated VENTURA is a newer re-issue of the classic…and incredibly tastefully done! The 32x48mm. case in steel is pristine. The original band is unused. 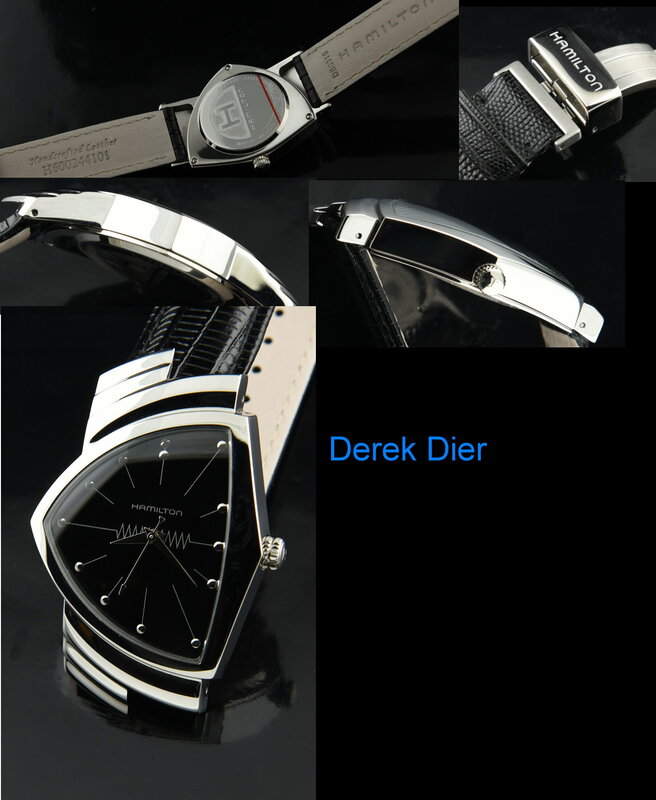 This watch looks fabulous on the wrist! No box or papers. Just $895.